The people of Luwero district have called upon the government to improve the conditions in hospitals in the district. 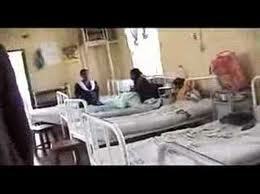 A report from the district has indicated that at Kasana Health Center IV, less than 30 beds are in wards. The report adds that due to scarcity of hospital beds the male and female patients are admitted in the same ward which has increased chances of love making in the hospital. Dr. Agaba Byamukama has confirmed the scenario, saying that since the hospital was constructed in the 1940s the government has never expanded it and it currently handles about 200 patients a day. Byamukama says that the hospital catchment area includes Nakaseke, Luwero, Nakasongola and Kiryandongo districts.